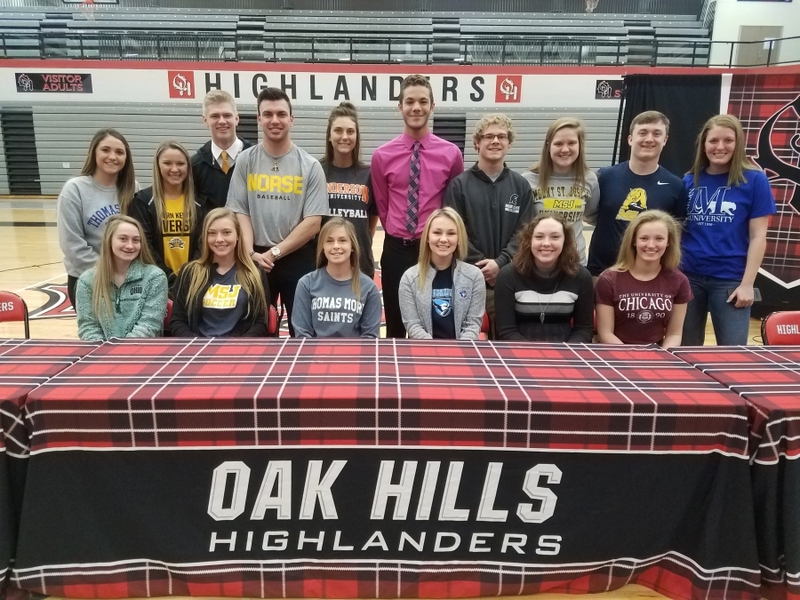 Oak Hills Athletics is proud to announce our 17 student-athletes for today's Collegiate Signing Day. Congratulations to our student-athletes and their families! Thank you to Coach Rolfes and Gabby Buccino for filming the ceremony. The link for the ceremony video is https://youtu.be/fwM0SZAq5ok.